Finally I am back with another product review. This time is b.liv by Cellnique. 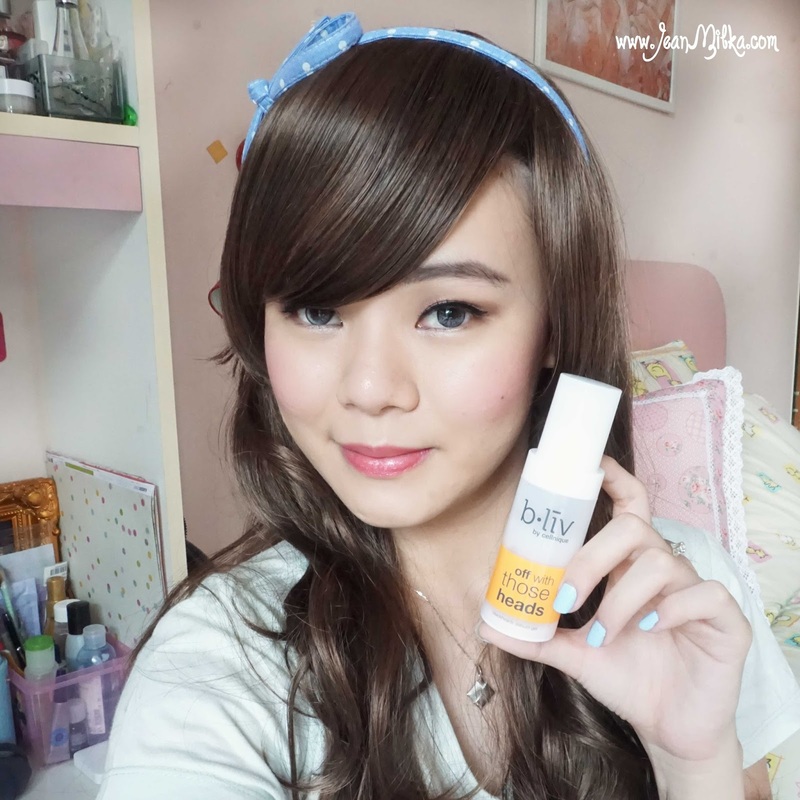 b.Liv is a new product in Indonesian market. They just entered Indonesian market and introduce one of their best seller product which is Off with Those Heads sebum gel. 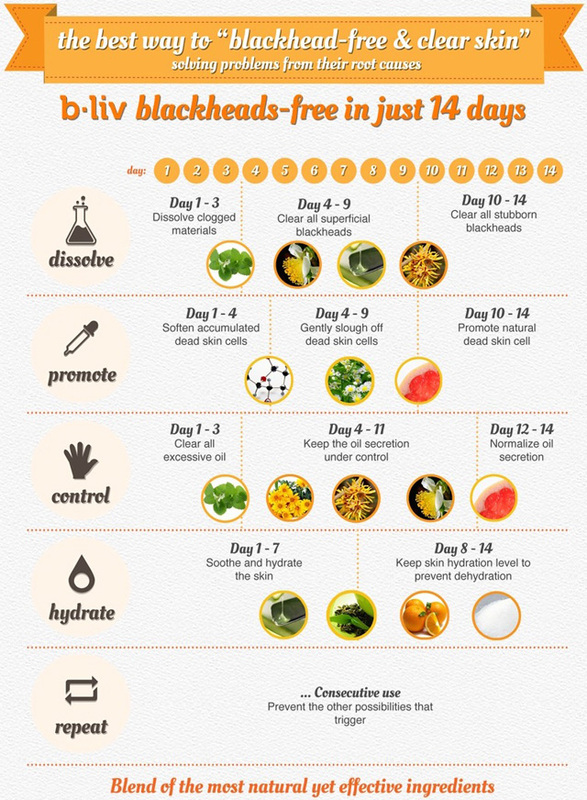 b.liv discovered by Cellnique which is a leading paramedical brand in professional skin care industry for over fifteen years. 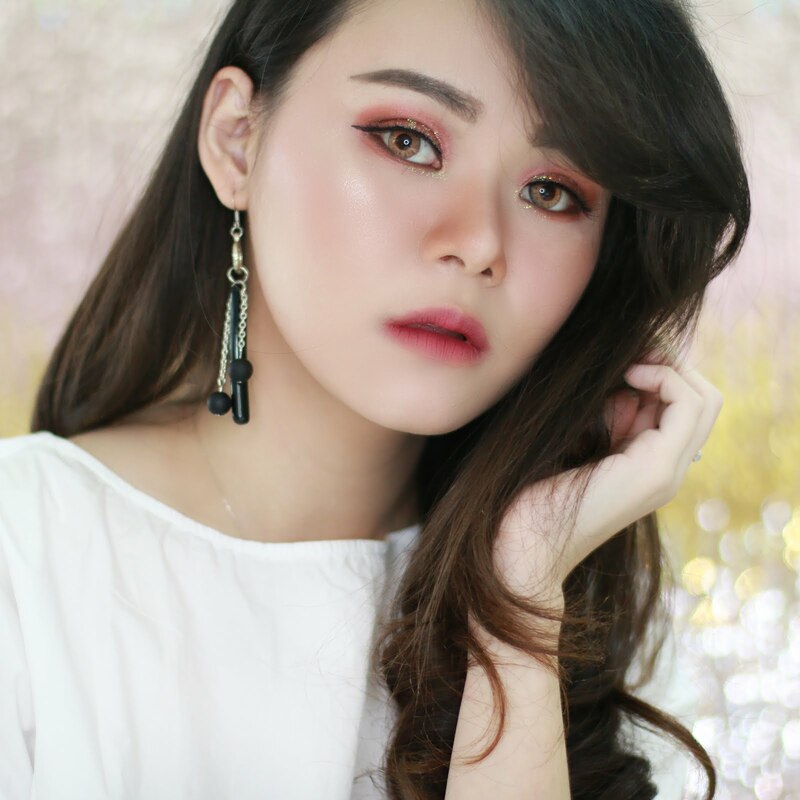 Cellnique has intensively focused on providing the best available skincare solutions through professional consultation with skin care center. 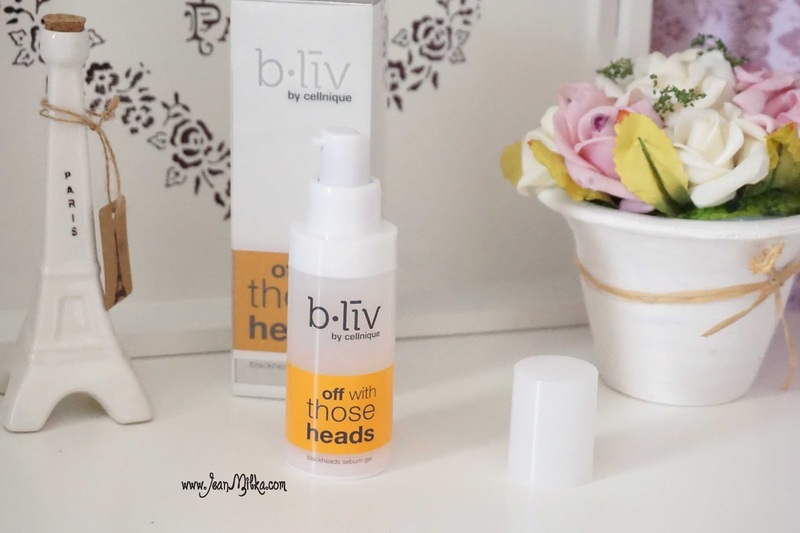 In order to extend its solutions to the younger generation, in 2006, Cellnique introduced the world's first beauty-salon formulated blackhead and whitehead remover gel, Off with Those Heads, under the new skin care line, b.liv to the mass market. My biggest skin concern is blackheads, whiteheads and pores. If you follow me for quite some time, I always trying to find solution for that. 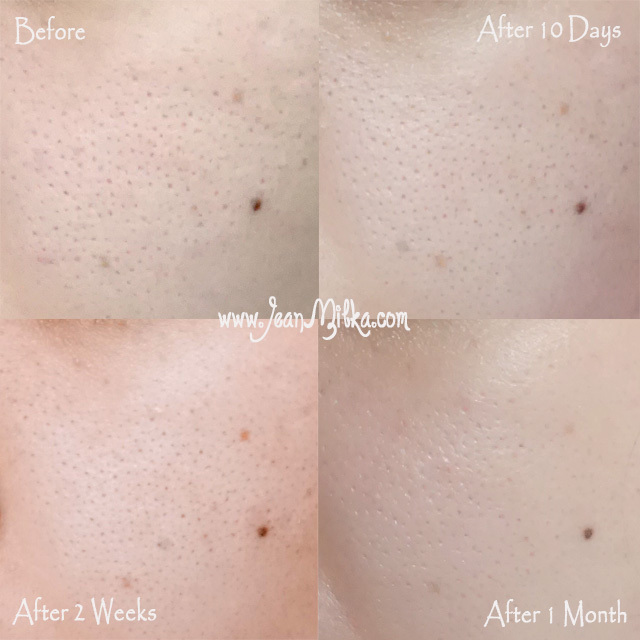 I thought facial treatment where you need to suffer from the painful facial routine including squeezing, picking and tweezing, is the only way to get rid off my blackheads and whiteheads. I was skeptical when b.liv sending me this product. 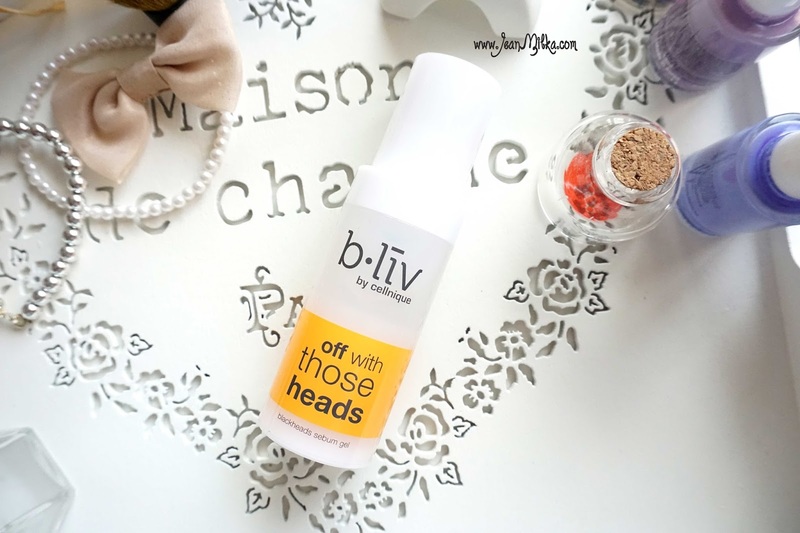 Off with Those Heads claims to painless remove black and whiteheads in 14 days . It's sounds impossible in my opinion, until I tried it myself. Off with Those Heads comes in a plastic pump bottle. I like the packaging not only because of the fact that it's a pump but also because the bottom pushed up when you pump them, so there is no air in the container *super sanitary*, and you can get every last drop out. Plus point that you can see how much product is left. The product its self is a clear gel sebum with peppermint scent. Once its applied on you skin, you will get the cooling sensation on skin surface that I really loved. The cooling sensation makes my skin feels fresh. It doesn't makes your skin feels oily and absorb quickly into you skin. This product retail for 49 USD or about 560.000 IDR for 30ml product. On the packing it says that it is normal for more oil to be secreted during initial period, but I would say that I didn't notice any extra oil on my skin. It's also says that those with sensitive skin may experience mild stringing sensations, I think what it means is the cooling sensation can feels too stung for sensitive skin. Tea Tree Oil : Control acne, anti-inflammatory, anti-septic, anti-bacterial, and anti-fungal. Witch Hazel Extract : Controls oil and tightens pores. How to use : I am using Off with Those Heads daily, morning and night, after toner and before my Clinique Pore Refining Solutions *serum steps*. I need 2-3 pea sized drops and applied it on my T-zone, cheek and little bit on my chin, since those are where I have black and whiteheads the most. I have used b.liv Off with Those Heads for almost 2 months and I can tell that I can see a huge difference. It does reduce my black and whiteheads. 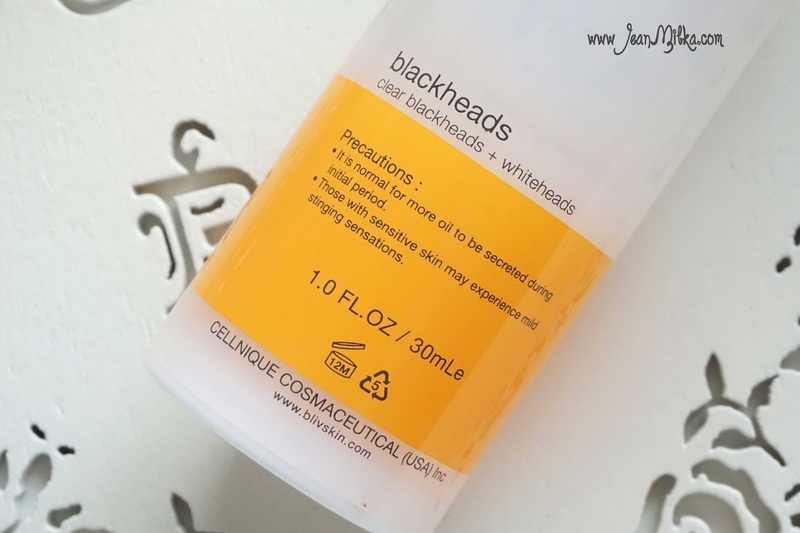 I won't say that, only with this product is enough to dismiss your black and whiteheads, but it definitely does a great job in reduce the black and whiteheads, especially the whiteheads. I still have a lot of black and whiteheads, but when I tried to squeezing it out, it doesn't as hard and painful as before. I didn't see a lot of changes regarding acne scar and tighten the pores, but combining this product with facial scrub *I am using Microdelivery Exfoliating Wash by Philosophy* and pore minimizer serum *I am using Pore Refining Solutions by Clinique*, it is easier for me to achieve better skin and my make up looks flawless with out a lot of effort. Readers : Have you tried this product? what do you think? also, if you have any product recommendation to get rid off blackheads, please let me know by comment down bellow.